Azerbaijan ranked the 68th in the UN world rankings on e-government development, according to the "United Nations E-Government Survey 2014: E-Government for the Future We Want" report. Azerbaijan has moved 28 points compared to the previous rating held in 2012, leaving behind the countries such as China, Turkey, and Serbia. The countries in the rating E-Government Survey 2014 are ranked depending on the E-Government Development Index (EGDI), which is a composite indicator that measures the willingness and ability of governments to use ICT to provide services to the public. The EGDI Index of Azerbaijan in the report amounted to 0.5472. 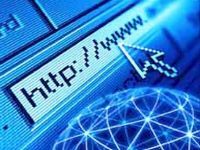 The index on component online services in the country amounted to 0.4331, telecommunications infrastructure - 0.4605, human capital - 0.748. The top five in the index EGDI include South Korea (0.9462), Singapore (0.9076), Japan (0.8874), Israel (0.8162) and Bahrain (0.8089). The index covered some 193 countries.